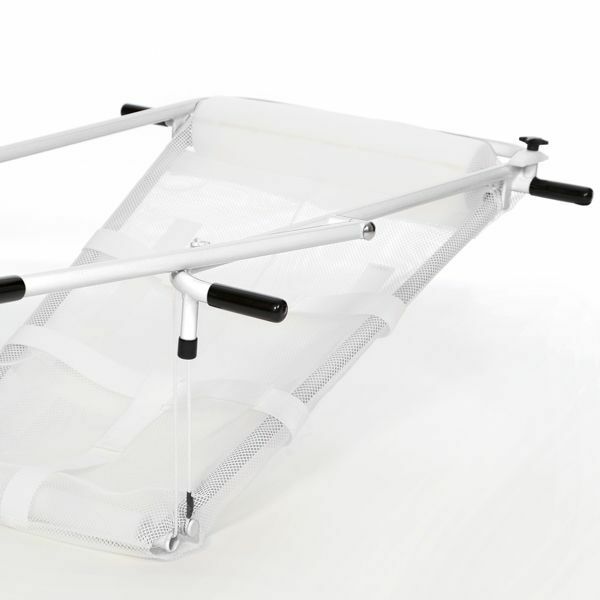 The lowerable bath chair Simplex supports children with special needs during bathing and offers secure hold at all times. Sitting in a recess the child is being lowered into the tub. 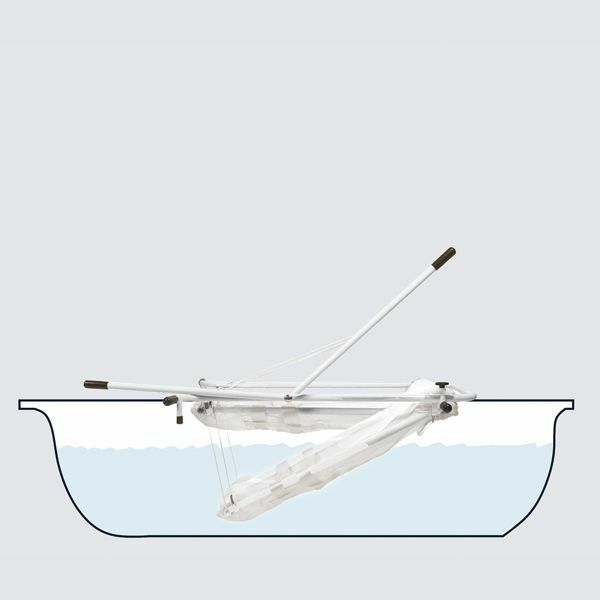 The chair is suitable for each standard bath tub and can easily be lowered by the caregiver with a lever. The double H-belt securely holds the child. 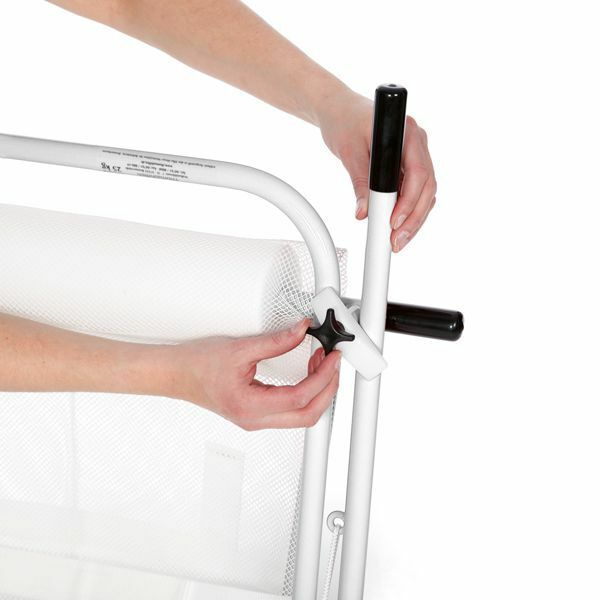 The softly padded cross tubes provide for a safe stabilisation. 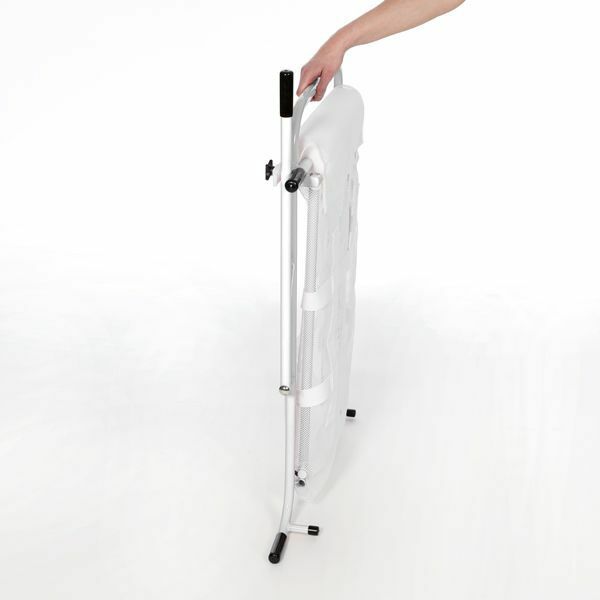 Seat width 32 cm / 12⅝"
Overall dimensions (l x w x h) 125 x 74 x 15 cm / 49¼ x 29⅛ x 5⅞"
Bath width 54 - 64 cm / 21¼ - 25¾"
Max lowering height 35 cm / 13¾"
By moving the lift arm the bathing support can be safely lowered into the bath.